Masterpiece Caravans, Talk About Performance! Masterpiece Caravans have a clear vision for the future. They understand their market and the needs of their particular customers. 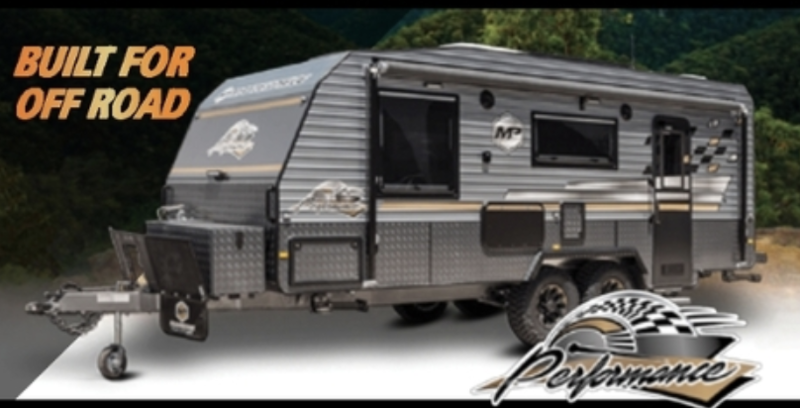 Masterpiece build off road caravans designed, engineered and hand crafted to tackle Australia’s harshest terrain. Using a combination of modern technology and traditional hand built craftmanship, the Masterpiece name has quickly become synonymous with quality and a high standard of manufacturing in the caravan industry, with particular emphasis on the off-road market. They have four models, with a range of options, and one of their high performers in the range is the Masterpiece Performance. This is a true off-roader in every sense of the word with the best of features to accommodate the roughest roads and the ultimate in freestyle camping. The Performance is built tough, using the best of Australian steel to create a strong chassis which ensures that this model can deliver on everything you want when you are off road and off grid. There are a variety of layouts to choose from to accommodate the needs and wants of a wide range of customers. The interior finish is extremely smart and shows off the quality-built furniture very well. The combination of the super strong exterior and the elegance of the interior design gives you the opportunity to go off the beaten track, and enjoy the peace and quiet in total comfort. Would you like to know more about the Masterpiece Performance? Click here! Industry News & Much More!